I recently read that tote bags are the new t-shirt. It couldn’t be more true. Like tees, tote bags are one of the most versatile pieces you can own. From shopping trips to the gym, a tote bag always has a place in your wardrobe – so shouldn’t it be stylish? 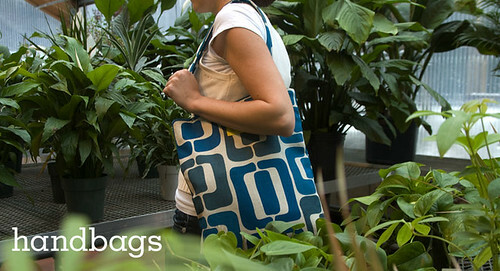 That’s why I love this new line of totes from one of my favorite designers, Angela Adams. Last year, meeting Angela was one of my design highlights, and I am constantly looking forward to what’s new in her collection. These stylish tote bags are a wonderful way to get Angela Adams style that you can carry with you everyday. 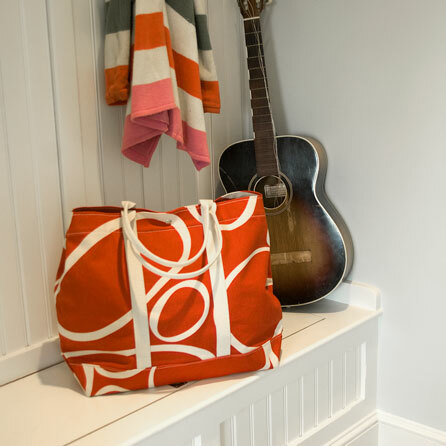 Canvas and linen totes are hand-printed with Angela’s signature designs, and all items are made in her home state of Maine. 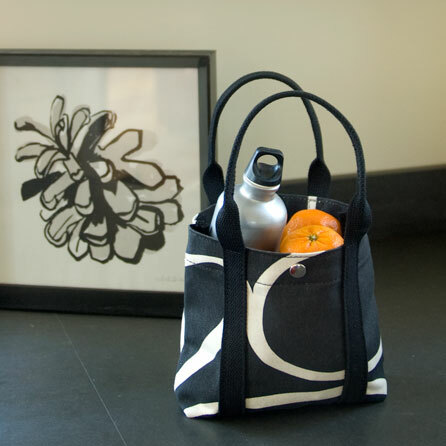 Perfect for weekend shopping or a daily bag, these totes will make the perfect accessory. Matchbook Magazine + AphroChic + Mochatini = A Beautiful Photo Shoot! i am loving these totes. especially since as the black/white is rocking the SIG bottle. Go eco! Thanks Kacey! 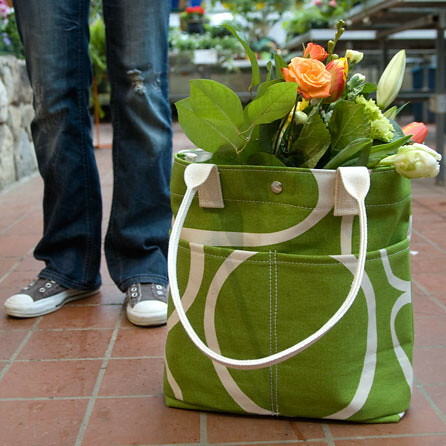 And 5Senses, it’s true these bags are eco-friendly. Since they’re made in Maine, they have a smaller environmental footprint than items that are imported. I LOVE tote bags and these are very nice. THOSE ARE CUTE! They are simple and casual for everyday use…:) love it!